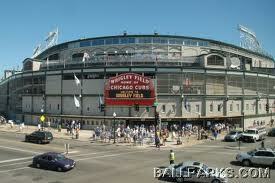 News last week from the corner of Clark and Addison streets made big headlines here and across the nation. Unfortunately, the headlines didn’t boast of a dramatic win by the team that plays baseball in the park at that fabled Chicago intersection. The news in question: The Ricketts Family, owners of the Chicago Cubs, are contemplating selling minority shares of the ball club. The extra dollars, or hundreds of millions of dollars actually, would be earmarked for fixing up venerable Wrigley Field, now in its 100th year. Note to company Chairman Tom Ricketts: Count The PRDude in on this deal. My confirmed contribution amount is below. I know, that’s not much. Won’t buy a beer at the ballpark, much less a Frosty Malt if those delicious frozen confections are still sold by vendors. But, I have added value as a minority investor: I am the PRDude after all and a well-known blogger; and I’m an Accredited public relations professional. My skills as a seasoned communicator — and long-standing, long-suffering — Chicago Cubs fan most surely will come into value, if not this season then in the years to come. Like all chronic Cubs fans, my century — make that millennium — would be made if the team won the World Series. 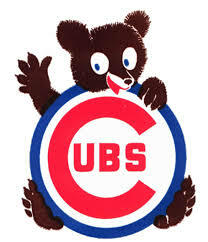 And, like all chronic Cubs fans, I’ll cheer and root through another disappointing season, which 2014 is turning out to be. Should the Ricketts family secure the funding they need to rebuild Wrigley, with my $5 included, I would be an ideal fan/investor/counselor to handle communications for the renovation work. Most of my PR career was representing real estate concerns or associations, I’ve been to the park hundreds of times since the mid 1960s and I have handled a crisis or two. For credibility, I’ll wear my vintage 1984 Cubs cap and APR pin during gatherings with the media. Could any big shot investor bring that kind of credibility? So what do you say, Mr. Ricketts? Do we have a deal? Tell you what: I’ll up the ante to the amount below. What else has the PRDude had to say about the Cubs? Here are two posts. This entry was posted in Uncategorized and tagged Accredited in Public Relations, APR, Chicago, Chicago Cubs, Chicago Cubs fan, Cubs, Edward M. Bury, PRDude, public relations, Tom Ricketts, Wrigley Field. Bookmark the permalink.